1. How can nursing mothers feed at night and still get sleep? By practicing safe co-sleeping: If you’re nursing, learn how to feed your baby while lying down on your side. Many mothers find this to be a very restful position, especially at night. Taking proper precautions in bed sharing can allow both mother and baby, get more sleep and nurse frequently. Get help on diaper duty, lullaby etc: Breastfeeding is exhaustive and tires a mother, asking partners or other family members can help in sharing the responsibilities, and meet other needs of the baby. Easy access clothing: Wearing pajamas or nightgowns that are specially designed for nursing moms, makes the process easier and fuss free. 2. Tips for getting more sleep and how does it affect the health of both mother and baby. Nap when you can with your baby, as most babies sleep during the day and are playful at night. So, the best you can do is to make good use of the opportunity and rest when your baby is napping. Sleep is important for mothers because inadequate sleep and rest have medically shown, to affect the milk supply in nursing mothers. Babies need adequate sleep for healthy development, it’s important for infant’s brain development and overall growth. 3. How important is sleep for a nursing mother? As mentioned above inadequate sleep reduces the quantity and quality of the milk supply; as a stressed body will release natural hormones which will block or affect the production of prolactin (produce milk) and oxytocin (release milk). Studies have also shown that sleep deprived mothers, tend to have postpartum depression. This can be easily avoided with proper rest and sleep. 4. 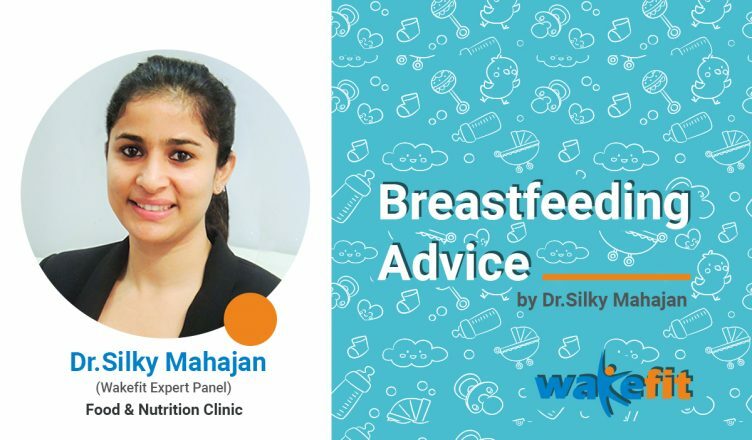 How to deal with sleep deprivation as a breastfeeding mother? Instead of looking forward to a long peaceful dreamy sleep opt for short power naps. Don’t equate sleep to an hour or continuous rest pattern, even a half an hour or 15 minutes ensures your body gets re-energized. Remember, that mother needs to be awake while feeding the baby. 5. Why is it important to breastfeed at night? Breastfeeding at night produces more prolactin, which helps with the production of milk to meet the baby’s needs. Night feeding helps in regulating the milk supply. An empty breast makes more supply, as babies are 20% more hungry at night; night feeding helps you as well as the baby. 6. Diet tips for nursing moms. Have high protein foods such as whole grain, egg, fresh fruits vegetables, nuts and chicken when breastfeeding. Include foods rich in Iron and Calcium e.g. lotus seeds, spinach, carrots, ragi, milk, curd. Avoid late night spice food, as it tends to affect the milk quality. Try to maintain a balanced diet. Eat foods that help in milk production such as oatmeal, dark green vegetables, almonds and bottle gourd etc. Avoid caffeine and stay hydrated. Take your vitamins on time and be regular with it.